We enter this Holy Week with the Lord Jesus in order to celebrate Easter with hearts that are renewed by the grace of the Holy Spirit. This is a time to focus on and be grateful for God’s selfless love for everyone, calling us to serve others with humility. 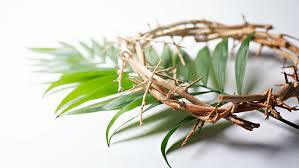 This entry was posted in Faith, Faith and Spirituality and tagged Holy Week, Palm Sunday. Bookmark the permalink.